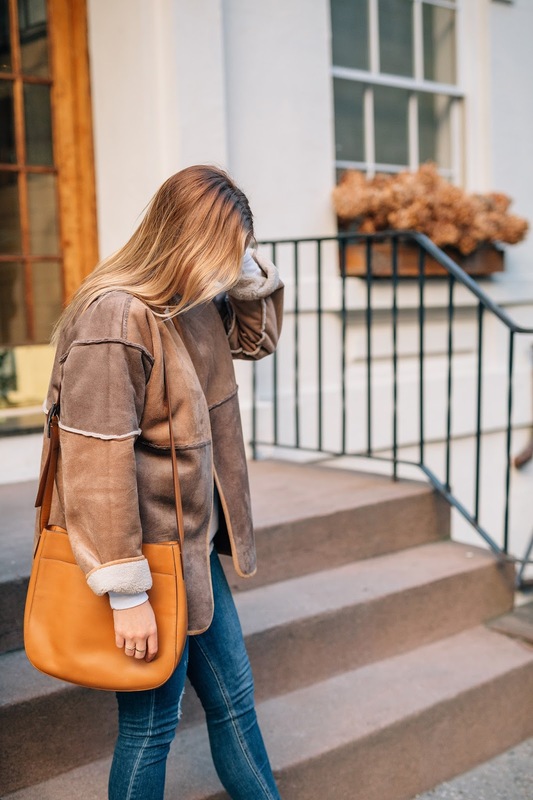 I have been on quite the hunt for the perfect faux shearling jacket this Fall and prior years I was on the hunt for a suede one. WELL I got lucky this season because I found the perfect combination. 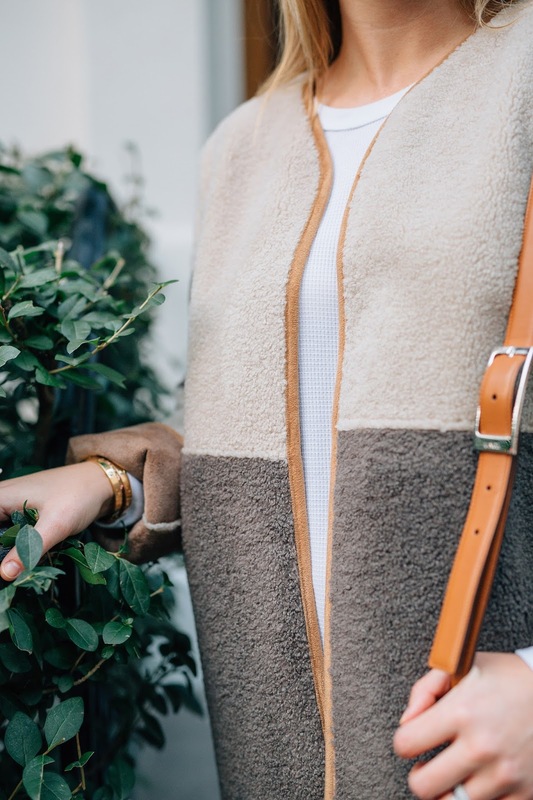 Velvet's Ofelia Jacket is reversible and is SO cozy it's pretty hard to take off. Another hard thing? Deciding which side to wear! The jacket did originally come with a suede belt but I am not a fan of belts on jackets or dresses ( it really depends but I am willing to try)! So anyways I did remove the belt - it has loops you can just snip right off. The jacket also comes in black but I chose the tan because the faux shearling side was really unique with the two tones. The black is on sale here! I also chose the tan because that's just more of what I wear. 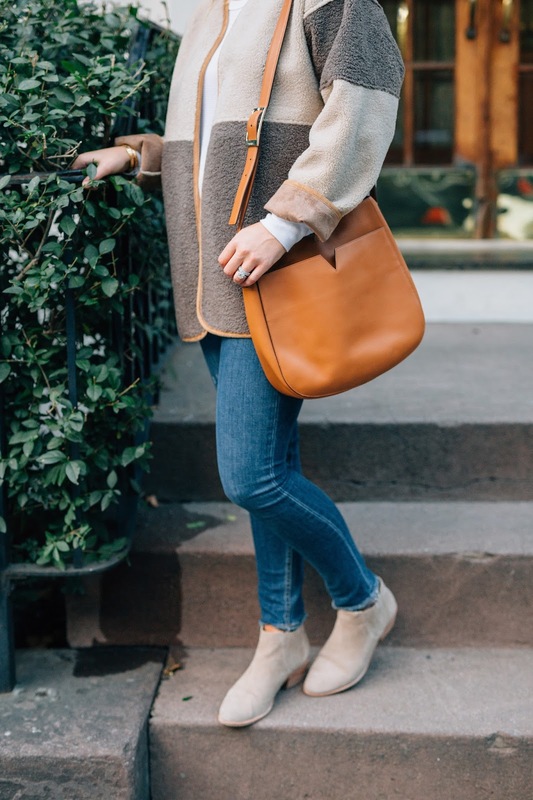 This outfit is my usual weekend uniform - simple and cozy. This long sleeve waffle has honestly been one of my favorite Fall purchases. It's oversized and the waffle isn't thick so it can easily be worn under a jacket without feeling too stuffed in. These booties have been in my closet for a few seasons, they have never failed me. I am guilty of owning them in two colors! Looking for a pair this Fall that will last? I love these and these! After seeing BOTH sides of the jacket... which side are you on?! P.S. See our boutique below featuring some of Shopbop's Surprise Sale Item's!